T-SQL Tuesday #111 – What is your why? 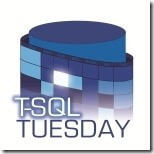 For this T-SQL Tuesday, Andy Leonard asks us, “What is your why?”, why do you do what you do? Many of the answers from others are heartfelt and admirable. Mine are not. Most fall under the category of either dumb or dumb luck. My very first taste of programming was back in first grade or so with LOGO. I thought it was a lot of fun but never did any significant after that. I first got my second taste of programming with Starcraft custom maps. The year was 1999. I know this because my username was eugene11. I’ll let you do the math. Starcraft had a scripting logic that was basically a simple if/then system. 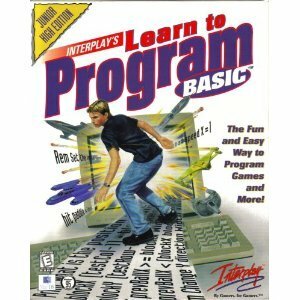 But the day I became a true programmer was when looking in the back of a scholastic catalog, I found Interplay’s Learn to Program BASIC! The description promised to teach me how to make video games. It was pretty easy to follow along with the lessons, although I didn’t truly understand what I was doing. I could make small modifications to the games they provided but didn’t understand half of the logic therein. In high school I would make video games on my graphing calculator, because I was bored. I also participated in a game jam called PyWeek. When I went to college, I figured I’d either be a programmer or a professor. I went to Penn State beaver because it was close, cheap and my brother graduated there, so I already knew one of the professors. In my senior year, I needed to take an elective in my major. I took Business intelligence, because the other option didn’t work with my girlfriend’s schedule. Remember when I said some of the reasons were dumb? Later on I asked the professor for a job. He worked full time as the head of Business Intelligence at Bayer Material Science. He hired me and I worked there for a year. Ultimately, though, it wasn’t a good fit. My next job was labeled .net/SQL developer. But after I was accepted I realized it was 90% SQL and suddenly I was a DBA and the new BI department. This part falls under the dumb luck, and it was lucky. I was in a role that I could grow into and over the years ended up working as a BI consultant within the company. While much of the path to BI was an accident, I’ve stayed with it in part because of the strong community and the friendships I’ve made. I really wonder if I’d find a community as strong and giving as #sqlfamily in a different field. But also, if I’m being honest, because the opportunity cost is high and this is a well-paying profession. My career for past 7 years has largely been an accident. I’ve always loved computers and thinking, but I can hardly say I chose this field. But back in September, I quit my job to work for myself. I did this to work on my physical health, my mental health, and have more control over my career. And honestly, why not? Worst case I have a gap year on my resume, and I go back to get a regular job, right? I’ve written about the lessons learned so far and more recently, I’ve discovered another why. Working for myself allows me the flexibility to take care of my mom. And so why not becomes much more of a why. Thanks, Eugene for this post. I agree that life is filled with accidents/chances/opportunities. It only takes to see and act on them. When I graduated I wanted to become C++ developer but found my first job as DB developer and worked with SQL Server and MS Access. This had been a good accident for me!